HRL’s novel phase-change switch will be key to full 5G capability in phones and devices. © 2018 Getty Images. 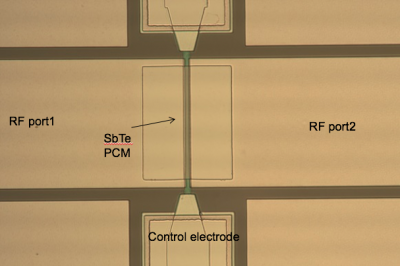 HRL Laboratories, LLC, researchers have achieved a major advancement in radio frequency (RF) switches over existing technology that will vastly accelerate data streaming in smartphones and other devices on 5G wireless networks. Besides faster audio and video, the new switch enables a more reliable signal and wider bandwidth for simultaneous data streams. This report is of the first antimony-telluride (SbTe) phase-change material (PCM)-based RF switch. The PCM switch changes its material phase from metallic to insulating, to switch between on (metallic) and off (insulator) states. The switch enables signals with extremely low-loss and high isolation for increased speed and clarity well into the millimeter-wave (mmW) frequency range. These qualities make it an excellent mmW switch technology for the huge data streaming demands of 5G wireless networks. During testing the switch set an impressive world record of 10 million reliable switching cycles without failure, a dramatic improvement over the previous record set by a PCM-based switch. Diagram of HRL’s phase-change radio frequency switch. © 2018 HRL Laboratories. The switch technology was presented at the International Microwave Symposium—the annual conference and exhibition of the IEEE Microwave Theory and Techniques Society—held in Philadelphia, PA from June 10-15, 2018. Moon said he is continuing to perfect the PCM RF switches. 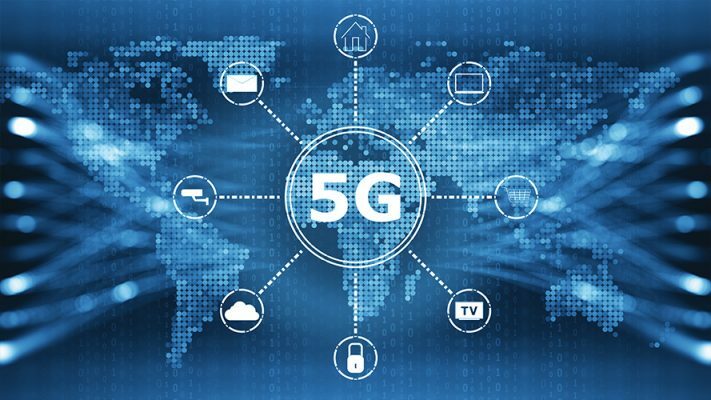 He is hoping to reach even higher performance levels for compatibility with the higher data rates of future mmW systems, including 5G wireless networks. Funded by the Defense Advanced Research Project Agency under their Materials for Transduction (MATRIX) program, this technology fits the program’s development of transductional materials that convert energy between different forms or domains, such as thermal to electrical energy, or electric fields to magnetic fields. This material is based upon work supported by the Defense Advanced Research Projects Agency (DARPA) under Army Research Office Contract No. W911NF-16-C-0007. Any opinions, findings and conclusions or recommendations expressed in this materials are those of authors(s) and do not necessarily reflect the views of the Department of Defense or the U.S. Government.